This time last year, the Iraq war was winding down, troops were leaving Afghanistan, and the world seemed to well on its way to becoming a more peaceful place. The only concerns people had about Russia were its extreme right-wing tendencies and the Sochi Winter Olympics. Military spending was focused on the "Asia-Pacific Shift" to match China's military buildup. Russia's invasion of Ukraine as given NATO forces a wake-up call. The Middle-East is once again (still?) a quagmire thanks to ISIS/ISIL. No doubt about it, things have gotten bad. They might get worse before they get better. Unfortunately, this has come at a rather inconvenient time. NATO nations' defense spending has consistently decreased over the last few years. Canada's military spending cuts rank amongst the highest. Defense spending is often easy picking for politicians wishing to curb spending. With the Cold War over, what do we need a military for, anyway? This sort of thinking would be fine if Canada decided to take a "hands off" approach to international crises. Barring that, we could act a non-partial conciliator helping to broker peace. Such is not the case however. 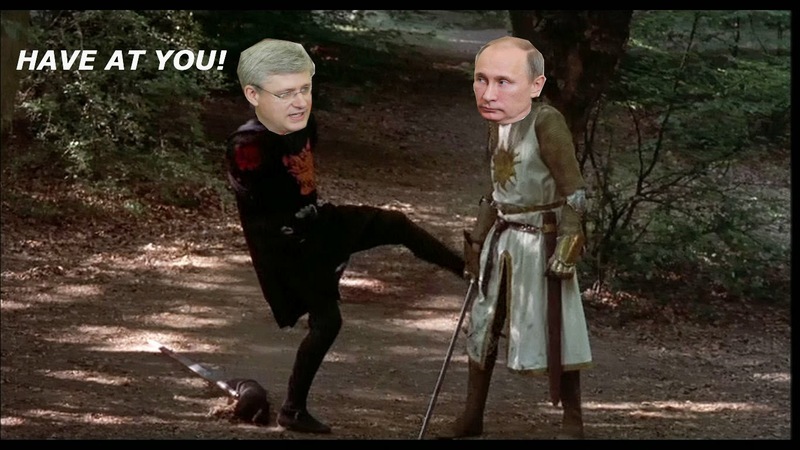 Canada is now quick to pick sides in international conflict. This has sullied any reputation of our nation acting as a non-partial mediator. Worse still, our current government has been all to eager to send military resources to global hotspots. This is exacerbated even further by the usual rhetoric. The situation in the Ukraine is indeed grim, and a measured response is warranted. Toothless posturing is of little help however. Canada's current diplomatic stance of talking tough whilst reducing military spending is downright foolish. Not only is it ineffectual, but it has the added penalty of antagonizing a neighbor that shares the same backyard. Too bad those "flesh wounds" are self-inflicted. Canada's current braggadocio is even more ridiculous given the current state of our military. In short, most of our military equipment is old and decrepit. New military equipment have been put off since the early days of the Chretien government. There have been a few successful acquisitions, like the CC-117 Globemaster III and CH-149 Cormorant. These do not seem to be the norm, however. More often then not, Canadian military procurement over the last 20 years has been littered with cancelled replacements, leaky submarines, more cancellations, delays, deferrals, and plenty of vapor wear. While new military purchases are put on hold, our fleet of Cold War era equipment soldiers on. That is, until it can't. There are only so many times an aircraft can be taken apart, refurbished, then put back into action. Sooner or later, the cost becomes prohibitive as spare parts become scarce. 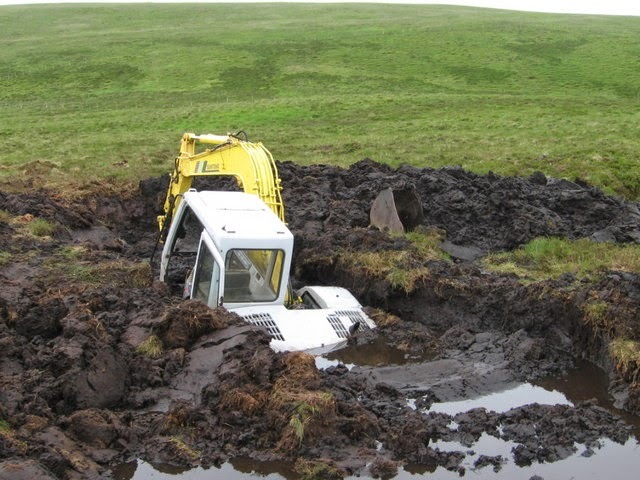 When this happens, equipment becomes a valuable commodity, not to be wasted on unimportant things like training. This can be a recipe for disaster. Clearly, Canada needs to fix its military procurement strategy. While the current Conservative government has paid great lip service to doing just this, the reality is that change is still years away. Worse still, the current plan puts the needs of Canada's defense industry ahead of its military personnel. As such, new equipment acquisitions will focus just as more on job creation as they do fulfilling the Canadian Forces' needs. While job creation is indeed a welcome fringe benefit of military procurement programs, they should not be a driving force. If that is the case, that funding would be much better diverted to more effective programs like education, infrastructure, and clean energy. The purpose of military equipment acquisition is to provide weapons and equipment needed by our armed forces personnel to get the job done. Period. Full stop. Everything else is a side benefit. Any and all equipment should be judged solely on how well it lets the Canadian Armed Forces do its job. But what job is that? Thankfully, the Conservative government has provided a "Canada First Defense Strategy" that lays out the Canadian Armed Forces' job in three simple roles. Defending Canada - The Canadian Forces must ensure the security of our citizens and help exercise Canada's sovereignty. Defending North America - Delivering excellence at home also helps us contribute to the defence of North America in cooperation with the United States, Canada's closest ally. Contributing to International Peace and Security - As a trading nation in a highly globalized world, Canada's prosperity and security rely on stability abroad. That is it. Three roles. In that order. "Defending Canada" is self-explanatory. We need a military capable of protecting Canada from outside aggression. This could be anything from a terror attack or a hostile superpower. "Defending North America" is simple enough. 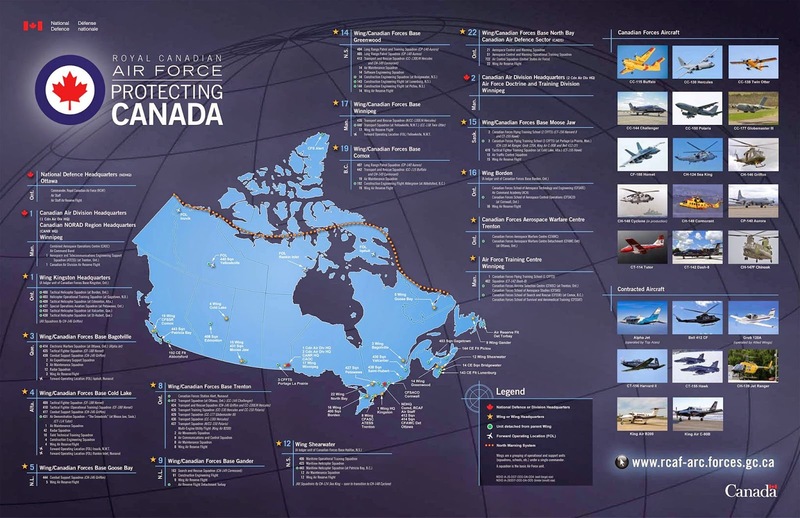 As part of NORAD, Canada must work with the USA in defending both of our nations. We help them, they help us. Given that their military is many times larger than ours, we make out pretty well in this deal. "Contributing to International Peace and Security" is another easy one. As part of NATO we have a duty to act as part of a coalition. This may be seen as a form of "world police" but Canada's well being does hinge on global stability. What speaks even louder is what is not in the above three roles. There is no mention of "letting the USA defend us" or "must participate in every military action abroad". Canada's military works with the American military, but it is certainly not an extension of it. This is a very important fact to remember. As long as Canada is able to defend itself, along with fulfilling our NORAD and NATO commitments, we have the luxury of "picking our battles". This keeps us from being entangled in never-ending quagmires like the Iraq War. While a slight increase in spending is likely needed to get Canada's military back into shape, it will take far more than that. It will take a cohesive effort to not only procure equipment in a timely manner but to make sure Canada's military gets the RIGHT equipment given its mission and its meager budget. So what is the right equipment? The requirements pretty much write themselves, thankfully. In order to fulfill the Canadian Forces' three core roles, we need equipment that allows the following. Patrolling and protecting Canada's coastline and Arctic. Canada is the second largest nation with the world's largest coastline. That makes for a lot of land, sea, and air to cover. Yet we rank 29th in air force size, and 35th in naval power. Thankfully, we share a border with our closest ally, so that alleviates some concern. Things do not look quite so rosy up north however. Canada clearly needs to beef up its ability to defend its waters, even waters under the polar ice cap. We need more capitol ships, more icebreakers, and more submarines. An amphibious assault ship like the Mistral-class would certainly be a boon, more so if it could be modified to work in arctic conditions and/or act as a supply ship. Just as important to Canada's arctic and maritime defense is airpower. 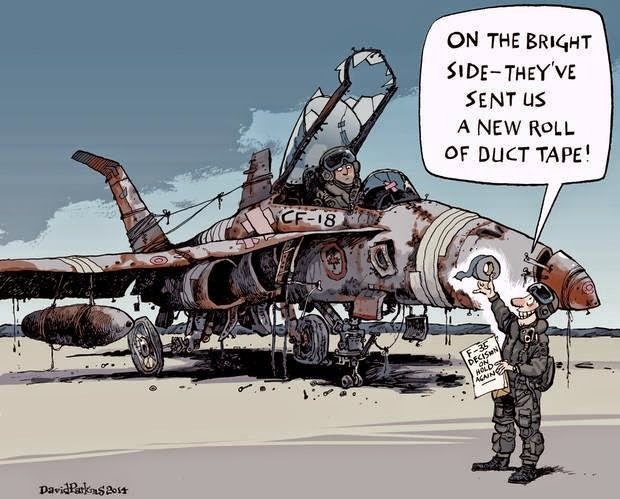 Sadly, Canada is in desperate need of new fighters, surveillance aircraft, helicopters, and other types. While we are at it, a long endurance surveillance UAV like the MQ-4C Triton would go a long way in boosting Canada's ability to patrol its arctic and coastline. Covering any gaps in American military coverage. This is where Canada really comes out ahead. Having such a massive military dreadnought as our friendly next-door neighbor means that we really do not need to worry too much about home defense. Even the northwest is very well covered by USAF airbases in Alaska. For the most part, this means that the USA will protect us far more than we will protect them. What possible gaps could their be in the world's largest standing military? Apparently a big enough gap to allow Russian bombers to fly within 50 miles of California. Clearly, the U.S.A. might not always be prepared for anything and everything, especially with much of their military dispersed around the world. This comes out in Canada's favor. While much of America's military focused on projection, we can take a different approach and take a role more akin to the U.S National Guard. This allows Canada's military to take more of a "domestic" approach, concentrating more on sovereignty and protection than deployments. Contributing to NATO missions and other coalition actions. Here is where all the "interoperability" concerns come from. Simply put, Canadian military assets will need to "play nice" with allied forces in coalition actions. Thankfully, this gives Canada a little bit of leeway in what actions we participate in, and how much. This sort of participation does not have to mean participating in airstrikes and the like. Often, this may be something as simple as providing resources that other nations lack. So how do we take all this to form a cohesive military procurement strategy? The first step is to stop the seemingly never-ending cycle of putting off military purchases. While it may seem attractive in the short run, putting off military purchases is a false economy. Since the end of World War II, the overwhelming trend in military hardware is higher cost. On top of this, delays in selecting new equipment often mean increased maintenance costs and the need to refurbish and upgrade worn out platforms. To give an example, Canada's CF-18 fleet would have cost roughly $9 billion in todays dollars. This is the same amount allotted for it replacement. The caveat, however, is that $9 billion is only expected to pay for 65 F-35s instead of 138 CF-18s. But it does not stop there, as the ever decreasing fleet has needed another $3 billion worth of upgrades and refurbishments since then. It should not be any surprise the CF-18 needs replacing. There is a definite "shelf life" involved with military equipment like this. New technology makes it obsolete, and years of use cause these systems to simply wear out. Sooner or later, it will need replacing. Instead of putting off needed replacement programs, only to go into panic mode when the decision can no longer be put off, Canada needs to plan ahead. A little long term planning could save billions of dollars and years of delays. When Steve Jobs returned to Apple Computers, the company was in disarray. Years of uninspiring products and dated technology had brought the company to its knees. Apple was simply not up competing with the IBMs and Microsofts of the computer industry. Instead of trying to compete head on with larger, more established computer companies, Apple embarked on a new campaign. 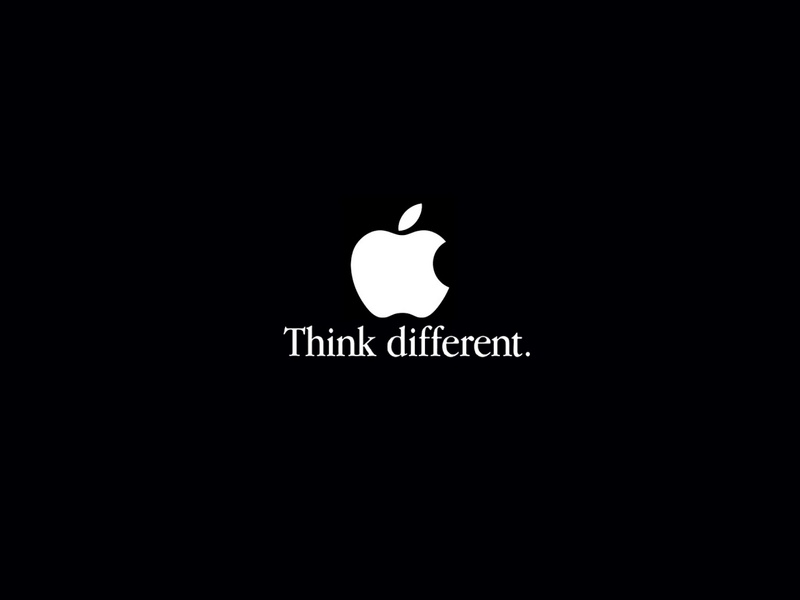 "Think different" was the slogan. Instead of competing with other computers' benchmark scores, prices, and features, Apple computers now focused on simplicity and ease of use. Even though they lacked the raw power of competing models, they still commanded high profit margins. This allowed Apple to branch out into untapped markets like personal media players and smartphones, and we all know how that turned out. In the short term, Canada's military procurement strategy will require a great deal of "Thinking different". There is a lot of equipment that needs to be replaced, yet the budget is quite limited. Right away, this means that Canada will have to forego "top-of-the-line" systems in the upcoming years. We simply do not have the luxury. Instead, Canada will have to procure the systems that give the best "bang for the buck". Simply put, Canada will have to do more with less. This means buying a cheaper fighter, like the Super Hornet or Gripen. The F-35 is too expensive, too risky, and too unproven. The chances of the JSF being fully operation by 2020 are slim at this point. In the mean time, it is advisable to play it safe with a more affordable, proven design. For ISR and maritime patrol duties, we will have to make due with the CP-140 Aurora until sometime in the 2030 timeframe. In the meantime, we should make an effort to identify what is needed in its inevitable replacement. The P-8 Poseidon has already been dismissed as too expensive, so other options need to be studied. With patrol aircraft being in short supply, it will be advantageous to secure a way to supplement their numbers with an unmanned aircraft. The most obvious example would be the MQ-4C Triton, but other UAVs may be able to provide the task. Such an aircraft would be a valuable arctic asset, and could possibly give CFB 5 Wing Goose Bay a renewed sense of purpose if it was stationed there. As for the Canadian Navy, that is a matter for a different post (...on a different blog, by a different author!) What does need to be said is that Canada's current shipbuilding strategy is already sailing over rough waters. There are too many ships needed, in too little time, with not enough money to build them. Canada should reconsider the strategy to focus on two of the big ticket items, Arctic/Offshore Patrol Ships (AOPS) and the Canadian Surface Combatant (CSC). Other ships, like the replenishment ships destined to replace the HMCS Protecteur-class, should be sourced from elsewhere. The reasoning for this is simple. Cost. Canada's two Queenston-class replenishment ships are estimated to cost $2.9 billion. This, despite Germany paying $445 million for each of the Berlin-class ships the the Queenston is based on. To put this even further in perspective, the two similar sized Mistral-class amphibious assault vessels France built for Russia cost $1.7 billion. Spending top dollar for military equipment is clearly unjustified, for any reason. There is simply not enough money in the budget. Attempting to justify expensive equipment in an attempt to be "equal" and "interoperable" with allies that have astronomically higher defense budgets. You simply cannot afford to have champagne tastes on a beer budget. 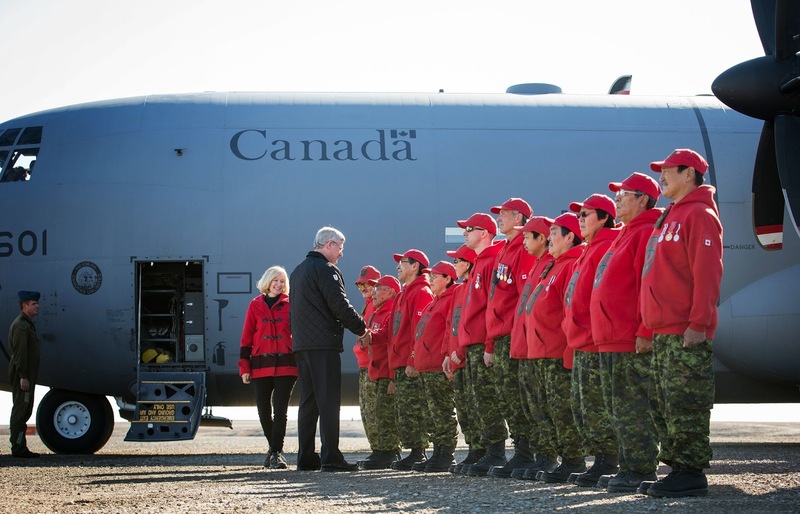 Those red hoodies might not look intimidating, but they're important to Canada's sovereignty. 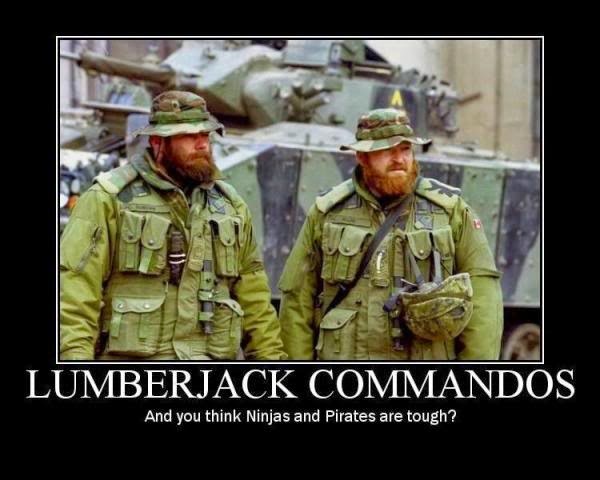 One of the bright spots in the Canadian military are the Canadian Rangers. This branch of the Canadian Forces Reserve helps provide a military presence in some of Canada's harshest and most isolated locations. All this for the low cost of a rifle, a uniform, a few other miscellaneous items, and reimbursement for the use of personal vehicles. It may not sound like much, but a few dedicated people using snowmobiles and pickup trucks can be just as effective as a multimillion dollar aircraft that costs thousands per hour to fly. Sovereignty is about presence, and there is no greater presence than someone who both knows and has sworn to protect their homeland. The Canadian Rangers know the arctic as if it were there backyard. Because it is. If something is amiss, they will likely be one of the first to know. 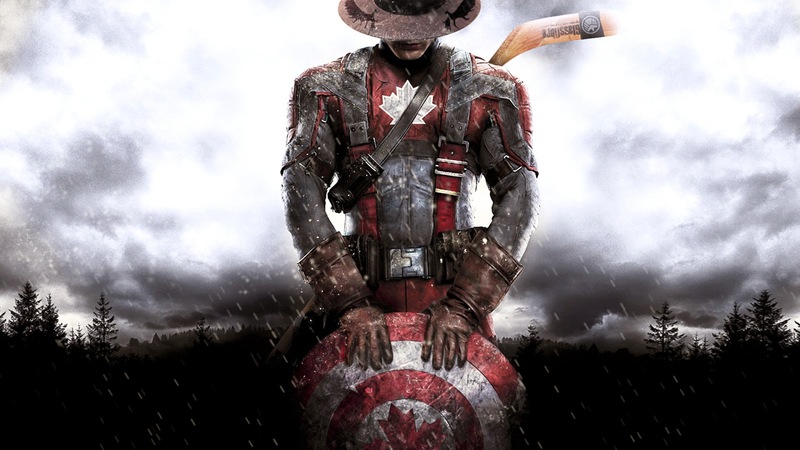 How important are the Canadian Rangers? "There's black gold in them thar glaciers..."
A massive 13% of the world's undiscovered oil deposits are estimated to reside in the arctic. Much of it remains economically unreachable at present. As the world's oil reserves dry up, the demand for energy increases, and the polar ice caps melt, this may not be the case for much longer. 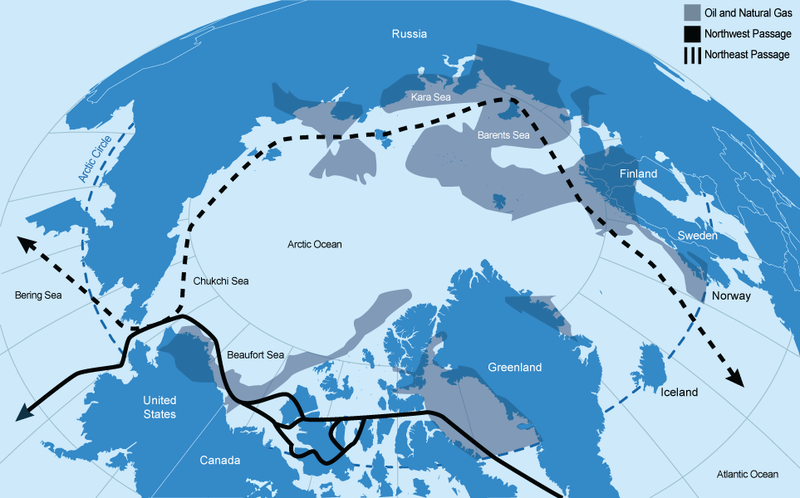 If Canada wishes to make claim to those valuable arctic resources, we will have to do more then simply pay lip-service. Others have started to take the area more seriously, it is high time we should. Canada needs to completely dismantle and rebuild its defense procurement strategy to align with its budget and needs, both in the short term and the long term. It may be difficult and painful, but with some clever ingenuity and focus, it can be done.